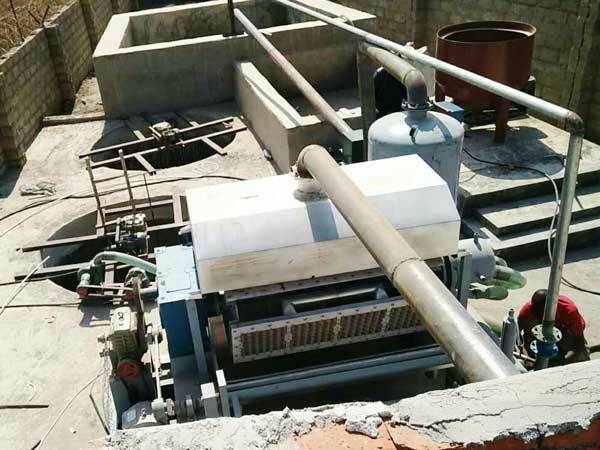 Egg tray machine in Zambia was installed successfully. It had been running smoothly for a long time. The paper egg trays made by the machine have high quality and are good egg packing products. Egg tray drying line in Zambia is a kind of brick-building drying line. Meanwhile, it adopts the belt conveyor to convey the wet egg trays for drying. Therefore, it is a set of automatic egg tray forming machine. Save manpower: It doesn’t need the people to push the small cart to dry wet egg trays. It can convey wet egg trays through belt conveyor automatically. Save drying time: automatic operating process can save a lot of time. Compared with brick semi automatic drying line, you can make more egg trays in the same time. More fuel choices: You can choose to use the coal, diesel and natural gas as fuel for your brick building egg tray drying line. The above are the advantages of using brick drying line. We also have metal brick dying line for sale. They all have advantages. You can choose according to your actual condition. Through the feedback of Zambia customer, we knew that he had achieved economic benefits from the egg tray manufacturing business. And he gave high praise of we Beston Machinery.